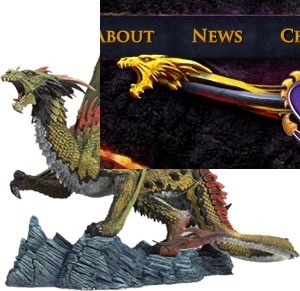 spyroid101 pointed out on tumblr that an artist for the game stole the head off of McFarlane’s Dragons Series 7 - Fire Clan Dragon for DotD's back cover and website. Thought I'd share lol because I don't think she mentioned it here?? changed enough to not be legal problem. happens all the time. mcfarlane bigger than whole legend trilogy anyway. doesn’t care so this doesn’t matter. who even was dawn artist? nobody knows. news is almost ten years late too. what even is point here? Oh, it's not meant to get the artist in trouble at all, I just thought it was an interesting fact to point out! very good to hear this then! stolen art seem to be fire starters most times. glad not the case here!